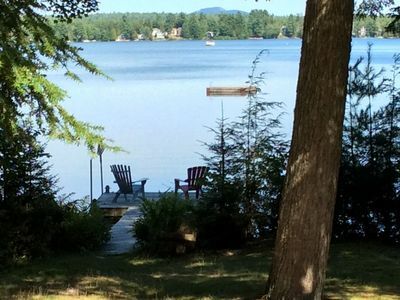 Experience a Pine Tree State escape in this charming 2-bedroom, 2-bath home right on the edge of Georges Pond. 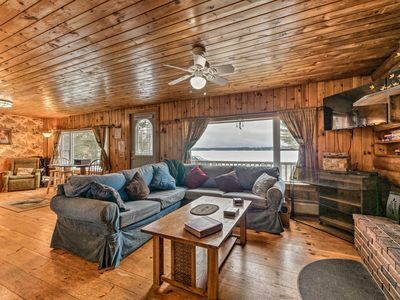 Nestled among tall pines, this wood-adorned vacation rental offers all the elements of home including a fully equipped kitchen, open living spaces, 2 wood-burning stoves, and views of the water. 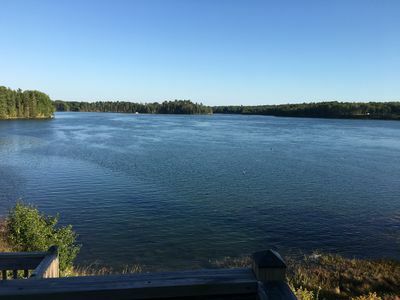 Franklin and surrounding areas are highlighted by year-round wonders like Acadia National Park, Schoodic Mountain, Bar Harbor, and the Mount Desert Island! 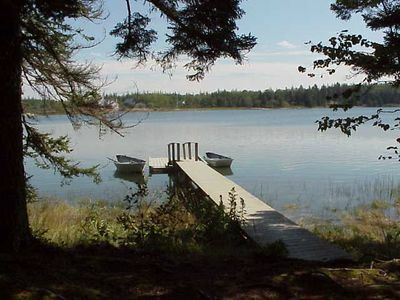 Come escape to beautiful Maine! 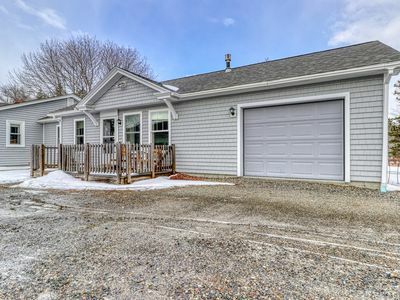 True to the area in which this home resides, the property’s wood accents and cozy furnishings will put you in the right mindset for an authentic Maine getaway. 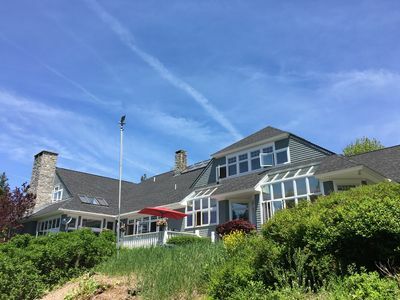 Year-round availability of the home makes seasonal amenities like decks, a gas grill, and 2 wood-burning stoves highlights of this property. The tantalizing views of the water and surrounding nature are the perfect complements to your daily cup of morning coffee. When you’re ready to start your day, gather in open living spaces to plan outdoor endeavors on the water, nearby hiking trails or parks. As plans formulate, meals can be as easily crafted in the fully equipped kitchen and enjoyed together at the dining table. Return for a relaxing evening in front of the flat-screen cable TV. Ready for bed? 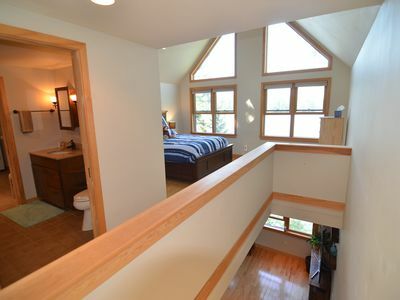 Claim one of the 6 beds housed in 3 separate rooms. 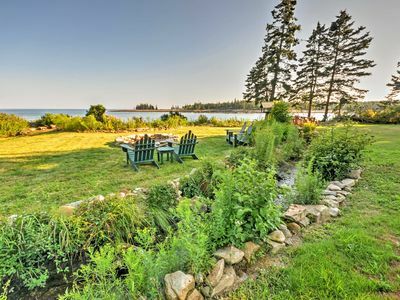 This property gives way to a little bit of everything Maine has to offer, with core highlights like beach access and limitless hiking options. 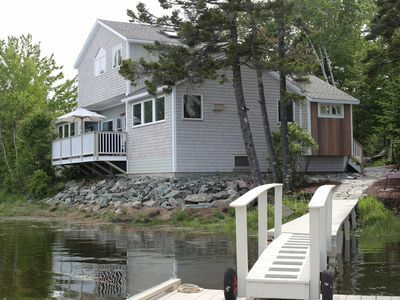 There is plenty to do within walking distance of the property - thanks to the home’s incredible location on Georges Pond! 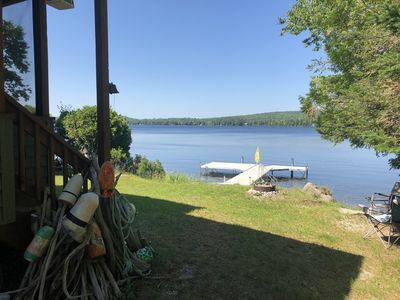 Take to the water with activities like kayaking, fishing, or swimming in summer while fall and winter give way to ice fishing and ice skating. For excellent kayaking, head to the Mt. 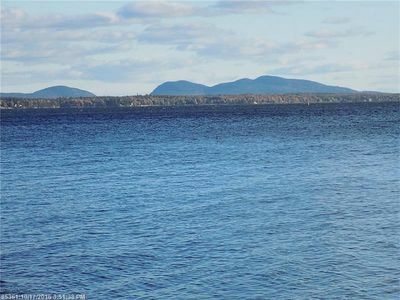 Desert Narrows, with plenty more areas around Mount Desert Island! 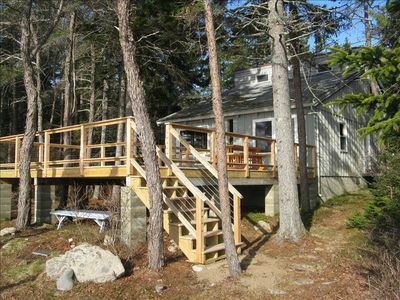 When you need a hiatus from the water, check out Schoodic Mountain, just 19 miles away. 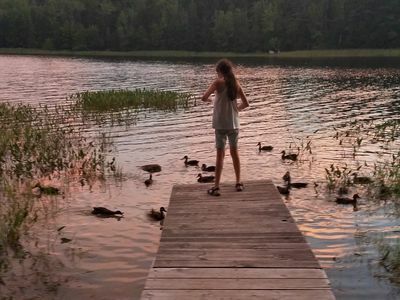 The area is popular for hiking, birding, and also seasonal hunting. 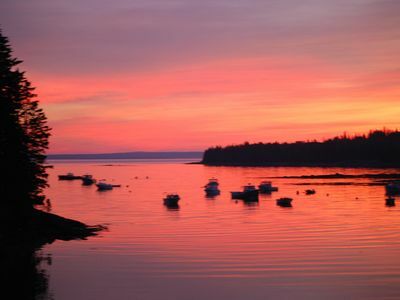 More destinations await you after a scenic 27-mile drive to the town of Bar Harbor and surrounding Acadia National Park! This 42,000-acre park is renowned for its hiking trails, ocean views, and beautiful peak foliage color change! 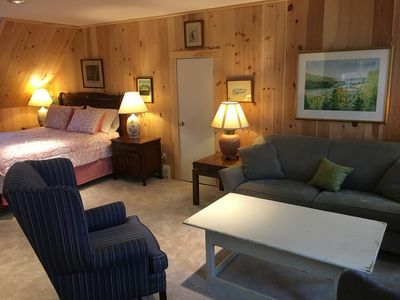 - Amenities include a fully equipped kitchen, 2 wood-burning stoves, free WiFi, 2 flat-screen cable TVs, front and rear decks, gas grill, fresh linens and towels, kayak & canoe (available for an additional fee), Pack N' Play (available for an additional fee), beach access, in-unit washer and dryer, parking for 10 vehicles, and much more! 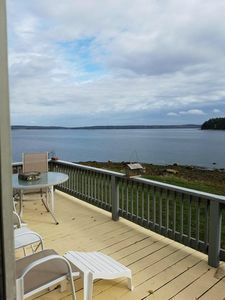 - Secluded Georges Pond waterfront location minutes from hiking and kayaking, and just a scenic drive away from major points of interest like Schoodic Mountain, Bar Harbor, Mt. Desert Narrows, and Acadia National Park! THE BEST VIEW ON THE ISLAND! 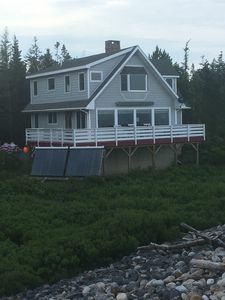 Hancock Point Home On The Water-Private Beach-View Of Acacadia!!! 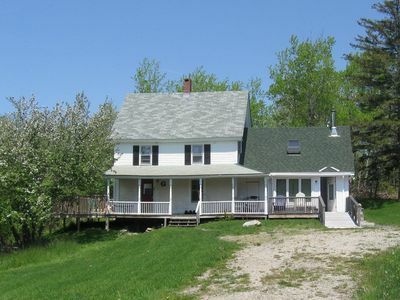 Oceanside cottage with Spectacular views! 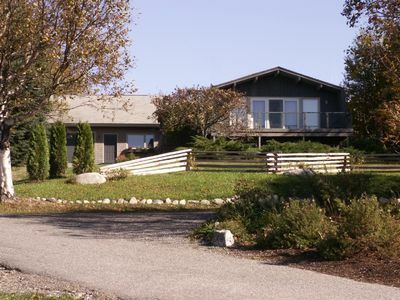 Ledgeview Cottage. 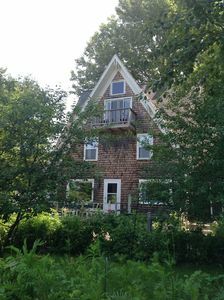 New England farmhouse on a quiet cove just steps to beach. Fully accessible. 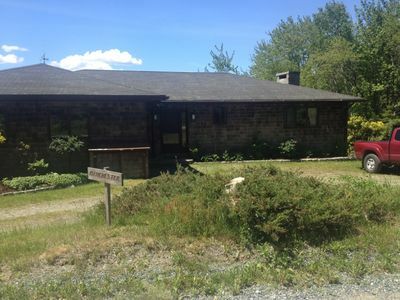 Dog-friendly modern bungalow w/ decks - near hiking, biking & ocean shore!